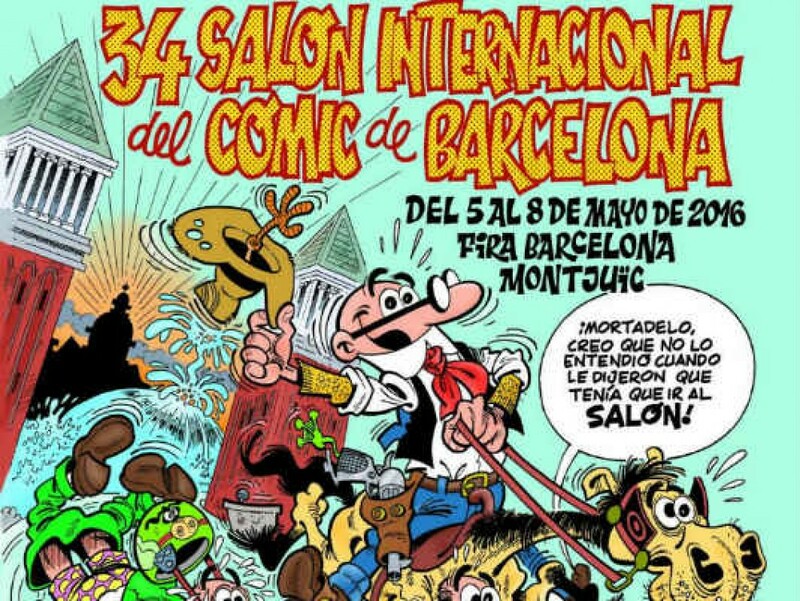 The 34th edition of the Barcelona Comic and Manga Fair took place May 5-8 in Barcelona, Spain. This fair is one of the most important and biggest events about comics in Europe and this year’s edition was particularly interesting. This year, the event hosted international guests like Frank Miller, Brian Azzarello, Cyril Pedrosa, and Zerocalcare among other comic book artists like Marion Fayolle. There were also various exhibitions on topics such as female superheroes, social graphic novels, and a retrospective of the work of Francisco Ibáñez, creator of Mortaldelo y Filemón, a popular and funny cartoon in Spain. The Fair expanded its program in 2016 with a lot of different activities, including the awards ceremony of the 34th Barcelona Comic Fair; a superhero cosplay contest; activities for children; a special concert of the music of video game The Legend of Zelda given by the Symphony of Goddesses Master Quest and the musicians of the Philarmonic Orchestra of Spain; and talks about many different topics. One of the most interesting talks was given by three Italian comic book artists — Lele Vianello, Paolo Eleuteri Serpieri, and Zerocalcare —who discussed today’s unique language of comics and how new creations are bringing a fresh start to the Italian comic scene. On the other hand, the award ceremony was full of surprises. Conducted by Antoni Girald, director of the Fair, who hosted the event with a entertaining and informal style, all the awards were selected by the readers from all the comics published in 2015 in Spain. 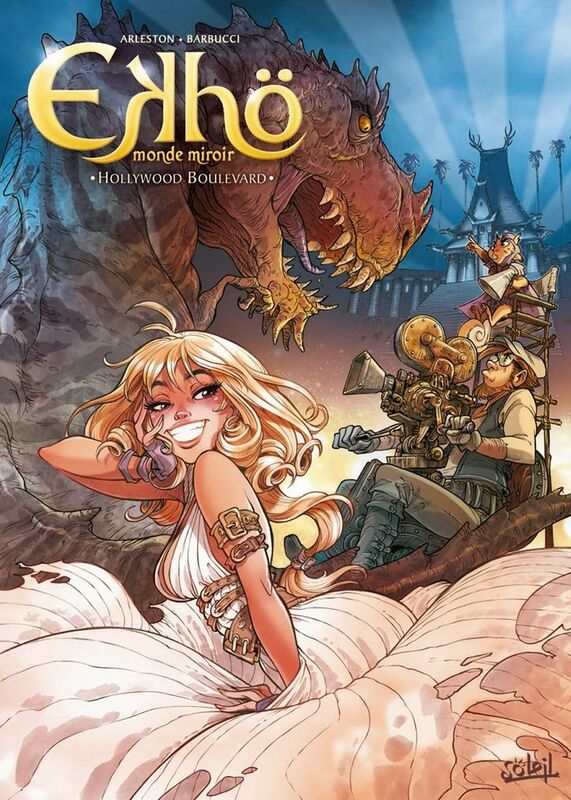 The first prize, Best Comic Published in Spain in 2015, was given to EKHÖ tome 3: Hollywood Boulevard by Christophe Arleston and Alessandro Barbucci (published by Norma). It was a big surprise when the other winners were announced, especially for the publishing house Dibbuks. They won three prizes in total, including Best Comic by a Foreign Author for Una aventura de Spirou. El botones de verde caqui by Olivier Schwartz and Yann; Best Spanish New Author for Javi de Castro with his comic La última aventura; and Best Spanish Comic for El fantasma de Gaudí by El Torres y Jesús Alonso Iglesias. The new magazine Nimio, an emerging publication made by very young editors, won the prize for Best Fanzine. And finally, the Great Prize of the TBO Magazine was given to Josep Maria Bianco, in honor of his long and influential carreer. 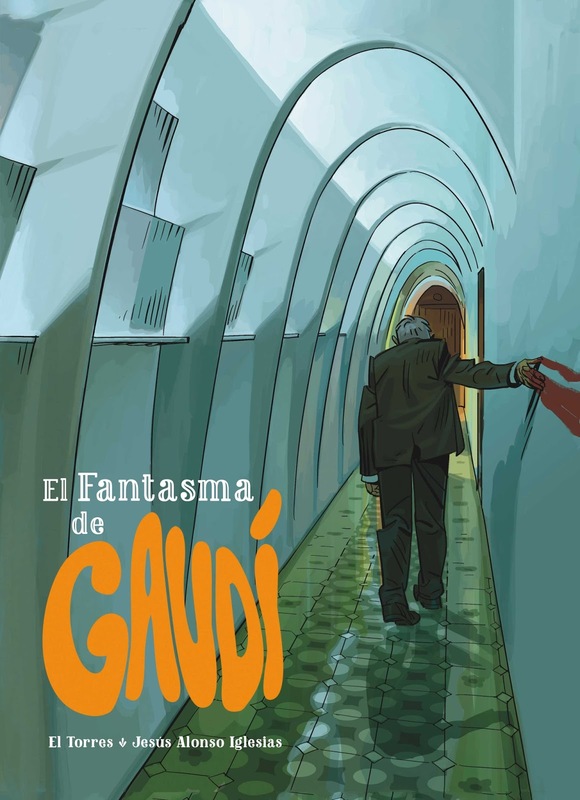 It was quite revealing that El fantasma de Gaudí won the prize even competing with authors like Paco Roca and Santiago García, very important personalities in the spanish comic book field. Such is the case that Nimio won the prize with only one volume published. Very revealing that readers and editors are open to read new proposals that show different and experimental perspectives. There were also a big number of artists, illustrators, and cartoonists that showed their work and share their vision. Moreover, important authors like Jason, and Max and Zeina Abirached signed their graphic novels for the readers and also showed off their lastest creations. There were also parallel exhibitions and activities related to the Fair in different places, such as the exhibition García/Olivares: Viñetas at the Museo Nacional d’Art de Catalunya, showcasing the creative process of the graphic novel Las meninas by Santiago García and Javier Olivares. This exhibiton showed all the research and creative process behind the graphic novel that tells the story of how the Spanish artist Diego Velázquez painted Las meninas. This event was full of color, voices, and images all combined in one place. People from all over the world gathered in la Fira Barcelona Montjuïc to share one interest, one passion: comics. The diversity of graphic novels and comics showed in this place is evidence that this field is alive, evolving, and moving to new places in order to reconsider how we understand comics today.